The lagoon of Venice, located on the shores of the Adriatic Sea, is known for its canals, romance, history and beauty. 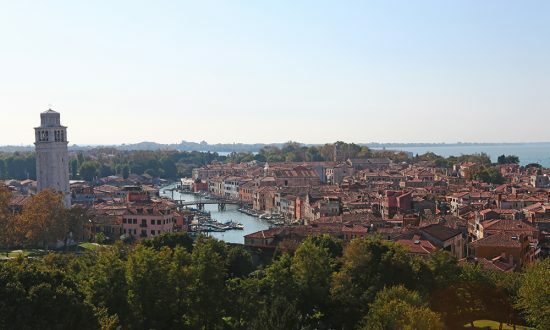 There are more than a hundred islands, of which the most famous include Venice, Murano, Burano and Torcello. Less well known are equally attractive San Francesco Del Deserto and Chiogga. Follow a trail full of art and history with a yacht charter in Venice. 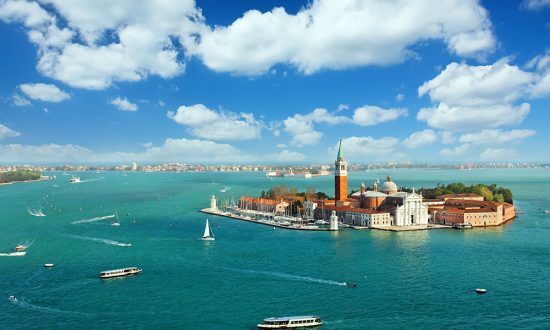 The lagoon of Venice is composed of 118 islands. 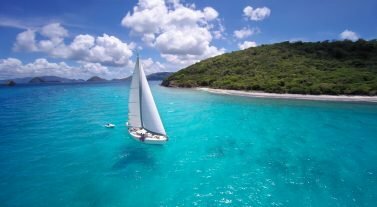 Enjoy easy sailing between the islands, which are all short distances from each other, and a pleasant climate between spring and fall. A Venice yacht charter has so much to offer those who love history, culture and gastronomy. Discover the city of Venice, the lagoon’s main island, with its many canals, charming narrow streets and historic center. Visit the stand-out attraction of St. Mark’s Square and its grand basilica, as well as Doge’s Palace and the Bridge of Sighs. The bridge, contrary to what many people think, is not a symbol of lovers. Instead it was the main route for convicts leaving court to the dungeon! Another bridge worth visiting is Rialto Bridge, or you can browse the floating merchants and wander through the labyrinth of streets to feel the special atmosphere of this city. Sail the nearby islands of Murano, renowned for its artistic glass, and Burano, with its industry of intricate lacework. Enjoy their waterfronts with colorful, pretty fishing houses. When chartering a yacht in Venice, you can visit Mazzorbo, a small island near Burano, which is bursting with vineyards and orchards. You might also want to stop at San Francisco Del Deserto, nicknamed “the silent island”, which houses a 13th century Franciscan convent that you can visit when the island is open to the public. Venetian cuisine is famous all over the world. Tasty delights arrive each morning from the lagoon’s fish farms, Valli da Pesca, or nearby islands such as Sant’Erasmo, nicknamed the “Venice vegetable garden”. You will have much to choose from when it comes to good coffee, be it lungo, ristretto, macchiato or latté. In winter, let yourself be surprised by the Caffè corretto, it’s a coffee with a little grappa, brandy grape, that the Venetians reserve for the cold days. For a real experience, go to the Caffé Florian near St. Mark’s Square. In the evening, try the cocktails of Venice, the Spritz and the Bellini to unwind after your day of exploring. If you are a confident sailor or would like a longer cruise, you can sail out of Venice to the Istrian coast, in northern Croatia. Here, in the most western part of the Croatian Adriatic, you will find green hills, rocky shores and medieval towns. A sail from Venice to Istria will allow you to explore the Brijuni National Park, the city of Pula, with one of the largest amphitheatres in the world, and ancient cities, such as UNESCO Porec, or Rovinj, considered one of the most beautiful cities in Croatia. Dream Yacht Charter in Venice: Choose from our fleet of monohulls and catamarans from Marina Certosa, our base in Venice. If you need help planning your charter in Venice, see our suggested itineraries or contact our team for more information. 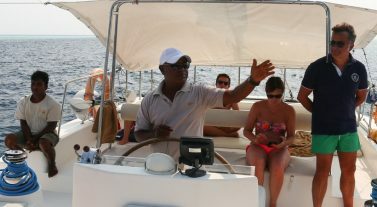 You can also add a professional skipper to your cruise if you wish. The time difference in Venice is Coordinated Universal Time (UTC) +1 hour. Make sure your documentation is in order to travel. Talk to us to make sure you have the correct documents before you travel. Italian is the main language but English and French are widely spoken. Public transportation in Venice consists of the vaporetto, a public bus on the water, gondolas and the Traghetto, which crosses the Grand Canal from one bank to another. There are also many taxi-boats but the rates are very high. 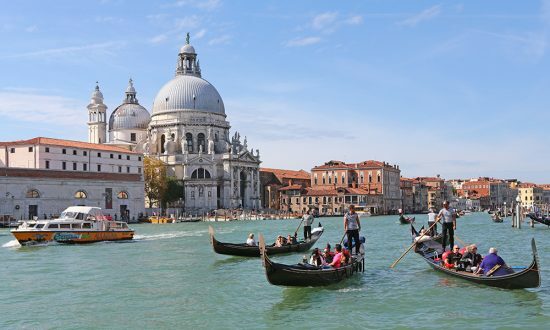 Make sure you agree on a fare before boarding a gondola or a taxi-boat. Wi-Fi hotspots are available throughout the island, as well as at most hotels, restaurants and cafes. A map of Wi-Fi terminals is available on this website. The best time to visit Venice is in the spring (May-June) or at the end of the summer (September-October), which will also allow you to avoid the crowds. Between May and October, you will find a mild climate. In July and August, the humidity and hot weather can make the city stifling. From early November to the end of April, you will be able to see acqua alta, a spectacular phenomenon of rising waters throughout the city. Sailing conditions in Venice offer an easy and short navigation, island to island. Sailing is allowed on the Canale di San Marco as long as you motor. In addition to the famous sirocco, the bora, a cold wind blowing from the plains of eastern Europe, affects Venice in winter and spring. From the point della Salute, navigation is prohibited. It is also forbidden to moor with stakes, even if the Venetians ignore this law. If you want to go to Istria, please contact our team for more information. Embark from our base at Marina Certosa. 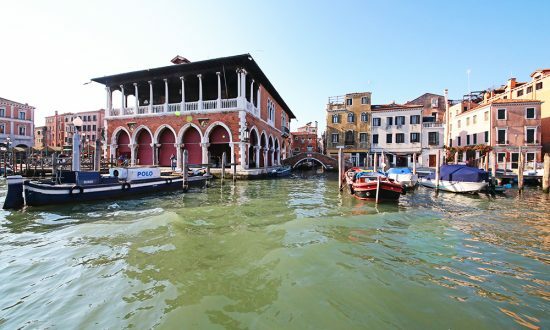 Located east of Vanie, it is the ideal starting point for a cruise in the Venice Lagoon to discover the islands. Head for Albarella, 20 miles away. It is a small private island, south of Venice, in the center of the Natural Park of the Po Delta. It takes its name from the “Populus Alba”, a white poplar widespread on the island. You will find deer, herons, stilts and many other animals in their natural habitat, as well as a superb golf course. Set sail for Chioggia, a small coastal town located at the entrance to the Venice Lagoon. It is connected to Sottomarina and to the coast by many bridges. The small fishing port is well worth a visit. Chioggia is a mini Venice, with canals, the main one being the Canale Vena, and narrow streets. The French-Italian film “La petite Venise” was filmed here in 2011. One of the most beautiful bridges is the Vigo Bridge, which spans the Vena Canal. Often compared to the Ponte Rialto of Venice, it marks the entrance to the lagoon and leads to Piazza Vigo, which is dominated by a column of Greek marble on which stands a lion, Venice’s symbol of power. Moor for the night in Le Saline. Spend the morning in Chioggia and enjoy lunch to savor delicious fish. Get lost in the alleys around Corso del Popolo before setting sail. Anchor for the night in front of Santa Maria del Mare and south of Lido. Moor at Certosa and take the vaporetto to spend the day visiting Venice, which is called the city of lovers. Discover the famous Piazza San Marco, the Doge’s Palace and roam the different districts of Dorsoduro, San Marco, Castello and Santa Croce. Forget your plan and lose yourself in the narrow streets to feel the special atmosphere of this city. 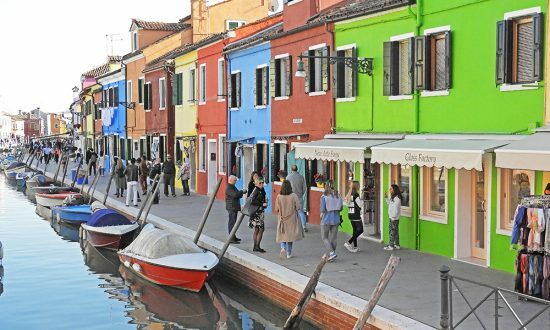 Set sail for the famous island of Burano, famous for its tradition of needle lace and its canals lined with pretty colorful houses. Discover Murano, not far from there, with its artisanal glass workshops, numerous shops and glass-blowing demonstrations. Moor for the evening in Torcello where you can visit Santa Maria Assunta Cathedral, Santa Fosca Church, Attila Stone Throne or Devil’s Bridge. Many anchorages are available around these islands to spend the night. Day 7: Burano – Certosa (5 NM) – Back to base. On your last day, sail back to the Marina, you can take the opportunity to discover the island of Certosa or return to beautiful Venice. Our base manager and his team will warmly welcome you upon your arrival at Certosa Marina. The marina has many facilities, such as toilets and showers, laundry, hotel, bar, restaurant, conference room, water, electricity and Wi-Fi. The marina is based on the island of Certosa, in the natural park area and is just 15 minutes from St. Mark’s Square. Fly to Marco Polo Airport (VCE), which is well-served by many international airlines. Our marina is 45 minutes from the airport and we can organize your airport transfer on request. Make sure your passport is valid for the duration of your stay and see our Handy Information section for more tips. Take only soft bags and not suitcases (much less bulky on board). Respect the restrictions of private islands where landing is often forbidden. On the ground the electricity is 220 volts. The country code is +39. Please check you mobile phone provider for international packages. Before setting sail, download and read this information to make your trip is as easy and enjoyable as possible.